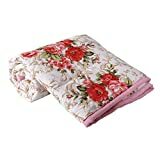 There is a wide range of blankets, for different seasons. Many people are accustomed to putting a blanket in between the bed sheet, that covers the mattress, and a thick comforter. What type of blanket you'll need, and how many of each type, will depend largely on your climate. (It's clear that someone from Minnesota or Colorado will appreciate a warm, cozy blanket.) 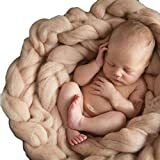 You can find heavy wool or fleece blankets, as well as light cotton blankets. Finally, you'll decide on a pattern for your blankets according to the décor in your bedroom. Here is a guide to some of the best blankets on the market. Throw Blankets: Throw blankets are considered more for decor than for keeping you warm at night when sleeping. Throw blankets will usually be adorned with tassels on the hem. They'll typically be used to cover a sofa in a den or living room. 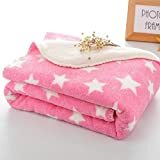 While a throw blanket will be sold according to its dimensions, a blanket for sleeping will be sold according to the bed size: twin, twin XL, full, queensize, kingsize. Egyptian Cotton Blankets: These are light blankets for use in the summer—you don't necessarily need them for warmth, but they'll be enough to make sure you don't get a chill at night. Wool Blankets: This is a traditional favorite material for blankets, owing to the ability of wool to keep a person warm. It tends to "breathe" more than synthetic fabrics—polyester typically makes a person sweat, and the sweat doesn't evaporate through the material. Wool is superior in that regard. Fleece Blankets: These are blankets made from polyester. They are also called "Polar Wool" blankets, even though they are 100% synthetic. 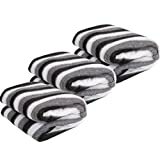 It is an inexpensive alternative to wool blankets, and is easier to wash.
Electric Blankets: In the winter, it's not so comfortable getting into a cold bed. You can use an electric blanket that can warm the bed for you—many of them feature an auto-shutoff, to save electricity. Machine washable: Take note if the blanket that you want to buy is machine washable. 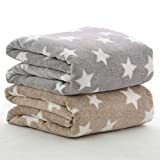 There are blankets that specify being “dry-clean only”, such as down blankets. Pay close attention to the laundry instructions, as to the temperature of water that is best to use for your blanket. Pilling and shedding: Pilling is how certain fabrics, such as fleece, tend to develop little balls, or “pills”, after a wash. Shedding is how the blanket becomes noticeably thinner and loses some of its fibers after each wash. You clearly don't want to wash your blankets often—it will only decrease their lifetime. The Tache White Ivory Faux Fur blanket seems to shed some of its fur after a washing. The Pinzon Velvet Plush Throw blanket tends to shed a lot of gobs of material after a machine wash—and even more after going through the dryer. It may be best to wash it by hand. Cozy Fleece—are manufacturers of microfleece and microplush sheets, blankets, comforters, baby items, and apparel, such as robes. They are located in Fletcher, North Carolina. Pinzon by Amazon—is a private label for a product line of Amazon.com. They sell towel sets, mattress pads, down pillows, Egyptian sheets, comforters, and more. Tache Home Fashion—is a internet retailer of bedding: quilts, blankets, comforters, and more. They were founded in Gaithersburg, Maryland in 1996. They sell bedspreads, blankets, cushion covers, pillows and pillow cases, and more. Chanasya—is an online retailer based in Austin, Texas, and founded in 2012. They sell outdoor furniture, indoor decor, gardening tools, and more. 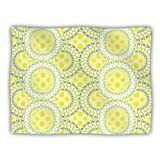 They sell throw blankets in various designs and patterns.